In an online sensation, police officers across the U.S. are dancing an updated version of the running man to a catchy 1990s hip-hop song in videos that have included professional sports mascots, cheerleading squads and at least one explosion. 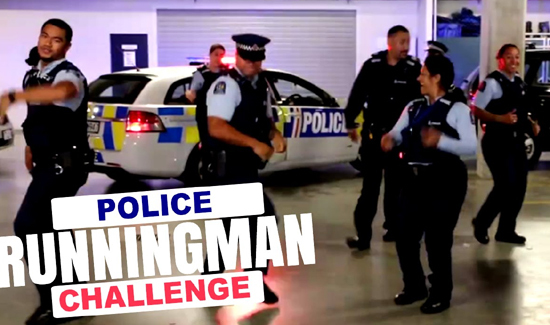 The videos, set to “My Boo” by Ghost Town DJ’s, began in early May after police in New Zealand issued the Running Man Challenge to the New York Police Department. The meme started with two teenagers in New Jersey and became viral after college basketball teams picked it up. Los Angeles officers filmed themselves dancing inside the Dodgers baseball stadium and at a popular hiking spot in the shadow of the Hollywood sign. Click the link below to see cops across the globe getting down on the good foot.